The death of a 'legend' often sees their collectible legacy increase dramatically. Just look at the popularity of Michael Jackson collectibles among investors. This trend appears set to continue with Elizabeth Taylor, whose recent death is likely to promote major sales in the near future. The forthcoming New York auction of Liz #5, an Andy Warhol work from 1963, will be a useful barometer for gauging the impact of the actresses' death on the collectibles market. It is estimated at $20m to $30m but has been subject to a third-party guarantee by a group of investors for an unknown sum should the Phillips de Pury auction on May 12 fail to reach the required sum. 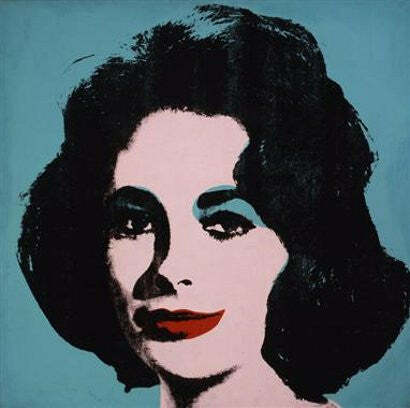 Hedge fund manager Steve Cohen bought the work for an undisclosed amount from the estate of US dealer Illeana Sonnabend. Giulia Costantini, a spokeswoman for the auction house, dismissed suggestions that the timing of the auction is exploitative. "The events are not connected," she told the Los Angeles Times. Cohen also owns a Warhol portrait of Marilyn Monroe. Warhol was fascinated by Taylor and produced 12 works of the star in 1963 while she was recovering from illness. A work once owned by Hugh Grant sold for $23.5m at Christie's in 2007 while Silver Liz, which had not been seen for more than 20 years, achieved $16m in the same year. In 2010 it subsequently made $10.8m.